The AXA Chair Launch is an inspirational and exciting full-day event to celebrate the appointment of AXA Chair in Global Finance – Professor Victor Murinde. 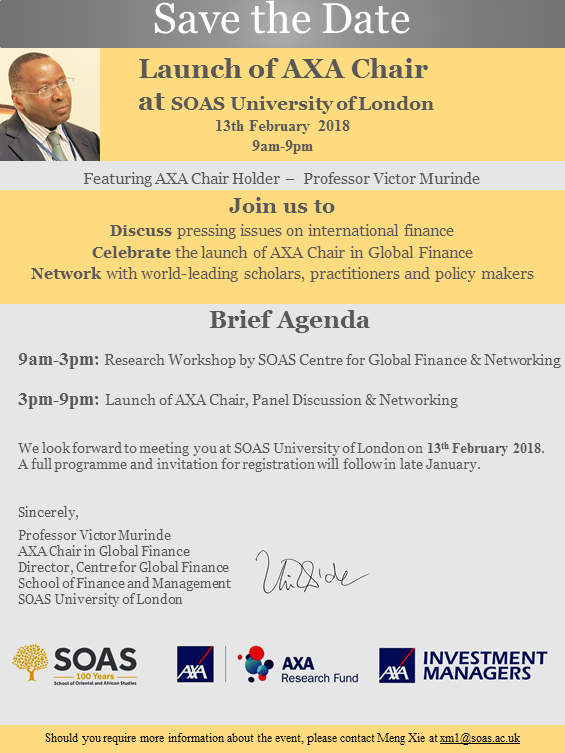 The event is co-hosted by SOAS University of London, AXA Research Fund and AXA Investment Managers. It brings together world-leading scholars, practitioners and policy makers to discuss pressing issues and new developments in global finance.